How's your week so far babes? Happy for the weekend? Here's a cute video to cheer you up. 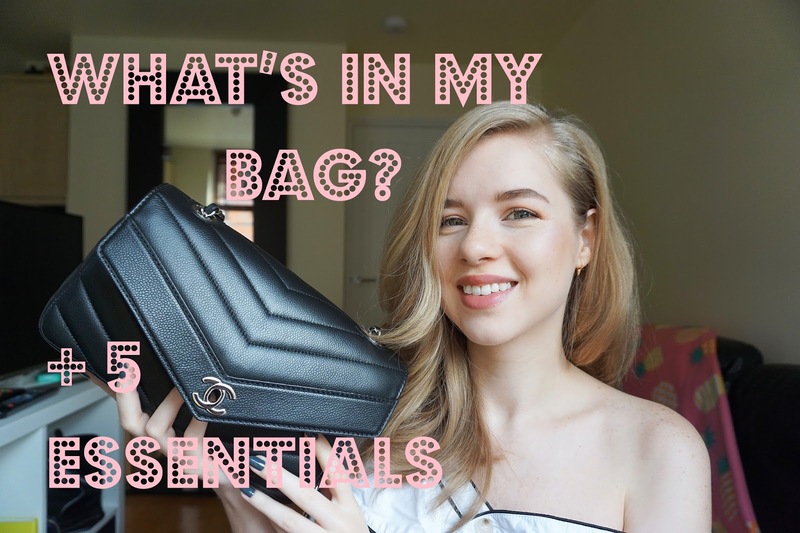 I'm sharing what I like to carry around, plus five bag essentials every woman should carry in her bag. Let me know in the comments what your bag essentials are and what bag size you prefer. I love smaller bags because they don't hurt my back, I sound like a grandma👵, but that's how it is ahaha. 1. Card holder. It's pretty obvious. This enables you to have just the necessary cards and a bit of cash. It works with both small and big bags. 2. Tissues. I bet everyone has been at least once in a situation where they needed a tissue and didn't have one, how frustrating was it? When the weather gets colder my eyes water a lot because of the cold air and I look so silly when I don't have any tissues, but my face is full of tears. Also, having a runny nose and no tissues is a disaster, so always keep a pack. 3. Sanitizing wipes. These should be a staple especially when traveling and feeling germaphobe so you can sanitize the area you sit in or table, but also if you use public transport. 4. USB Stick. A good habit to start forming today is to have a back-up of important documents or presentations when you're having a meeting out of office, don't just rely on your computer. Of course, I wouldn't suggest keeping anything confidential over there just in case you loose it. I started keeping a USB in my bag in Uni and it saved me on multiple situations. 5. Bandaids. While shoes are gorgeous pieces of art, at times they can be cruel and give you blisters. Such a complicated love story ahaha, but seriously now, since sadly shoes can cause blisters it's best to be ready for the worst. Bonus Tip: Feminine products. What's the worst kind of surprise you could get? You guessed it and you wouldn't want to be unprepared, so don't. Always be prepared and ready to help a girl out, just in case one of your girlfriends needs you or a stranger. Hahaha so different of what I usually have in my bag!! For example, pens and a notebook: I can't live without that! I always need a lip balm in my bag... and tissues too! Amazing video, dear! So nice and interesting.